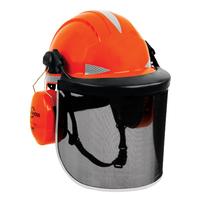 The Evo 3 Hard Hat is a Comfort Plus stylish helmet which enables firm fitting of safety visors and ear defenders, 6-point terylene harness with sweatband, one touch ratchet adjustment. Short peak. EN397. 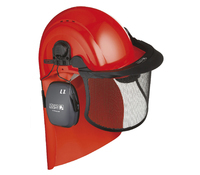 The Evo 3 Hard Hat Linesman Helmet has a short peak allowing good visibility on the horizontal and vertical, Terylene Harness, 4-Point Chinstrap. EN397. 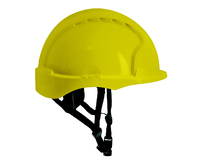 The JSP MK 7 Hard Hat is an innovative helmet which comes fitted with integrated sure slide retracta spec, 6-point terylene harness with sweatband, ratchet adjustment. EN397 EN166. 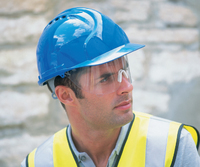 The IRIS II hard hat helmet is a breakthrough innovative helmet combining eye and head protection in one. 6-point terylene harness with sweatband, wheel ratchet adjustment. EN397 EN166. 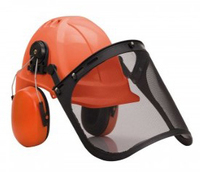 The Evo 2 Hard Hat is a stylish helmet which enables firm fitting of safety visors and ear defenders, plastic harness with sweatband, one touch ratchet adjustment. EN397. 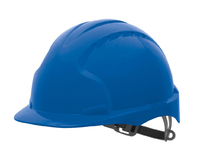 Helmet Winter Linter Navy with Red lining .Two Layers. 100% FRcotton shell with fleece lining. Regular length. Cotton twill is flame retardant treated. 2 internal ear pockets for use with warmer pads. Velcro fastening chin strap. 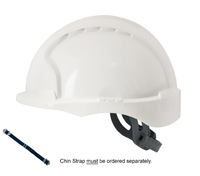 Elasticated hard hat/helmet chinstrap with easy close fastening, suitable for all helmet types. 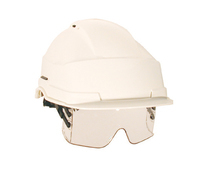 JSP Hardcap A1+ Baseball Bump Cap has a sleek low profile design which offers all round protection. 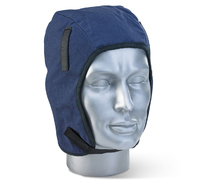 Removable washable protective liner, terry towel sweatband, one-handed angled adjuster. EN812. 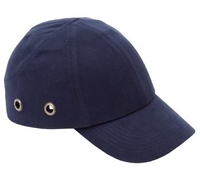 JSP Top Cap Baseball Bump Cap has a sleek low profile design which offeres all round protection, terry towel sweatband, one-handed angled adjuster. EN812. 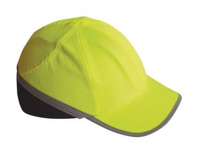 Portwest PW79 Hi-Vis Bump Cap using high profile ABS shell with padded crown acts as a shock absorber. It features a six-panel design with ventilation ports for cooling ventilation. 360º reflective bead for enhanced safety. EN812. 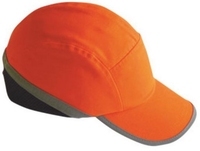 Portwest PW79 Orange Hi-Vis Bump Cap using high profile ABS shell with padded crown acts as a shock absorber. It features a six-panel design with ventilation ports for cooling ventilation. 360º reflective bead for enhanced safety. EN812. 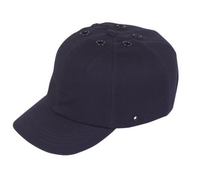 Navy JSP Hardcap A1+ Baseball Bump Cap has a sleek low profile design which offers all round protection. 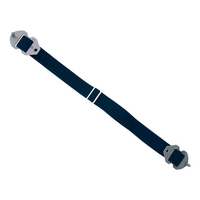 Removable washable protective liner, terry towel sweatband, one-handed angled adjuster. EN812. The protective liner is removable, so the outer cap is fully washable for hygiene purposes and extended life cycle. Terry towelling sweatband adds comfort and absorption for the wearer. Ultra sleek low profile design means the HardCap A1+ is almost indistinguishable from a high street 'fashion' baseball cap. 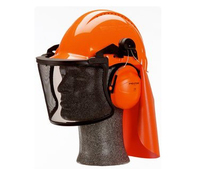 Protective Aluminised Helmet Cape provides neck protection in high temperature enviroments such as foundries. Desgined to clip into the inner helmet harness. Replacement foam sweatband for Apex Helmet. One Size. CE.